It was a trial one so we could make sure the format works. It was really good. Stevie and I did most of it, in between making meals and beds, and my photography skills have come on leaps and bounds. Stevie’s put a few of the photos that we took up onto our new flickr account .http://www.flickr.com/photos/danyfanbrecon/sets/72157627292743330/ Rich (who ran the course) is going to upload everyone else’s shortly. 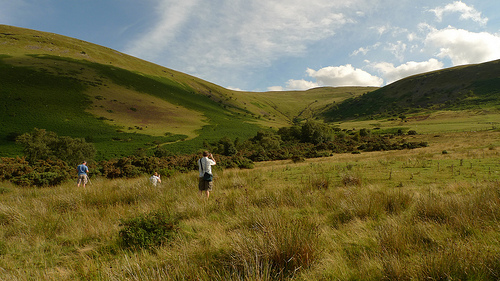 We have another one scheduled for 19th – 21st August – see http://danyfan-brecon.co.uk/photo-courses.html. Still some places left, so let me know if you’re interested. We’re keen to run events and weekends at Danyfan, and we have our first couple lined up. Richard has worked in the photography industry for many years as a freelance photographer, lecturer in photography, and as a Photo Editor for a specialist natural history collection. Richard has a Masters degree in Biological Photography, a wide range of knowledge and a relaxed, professional and personal manner. 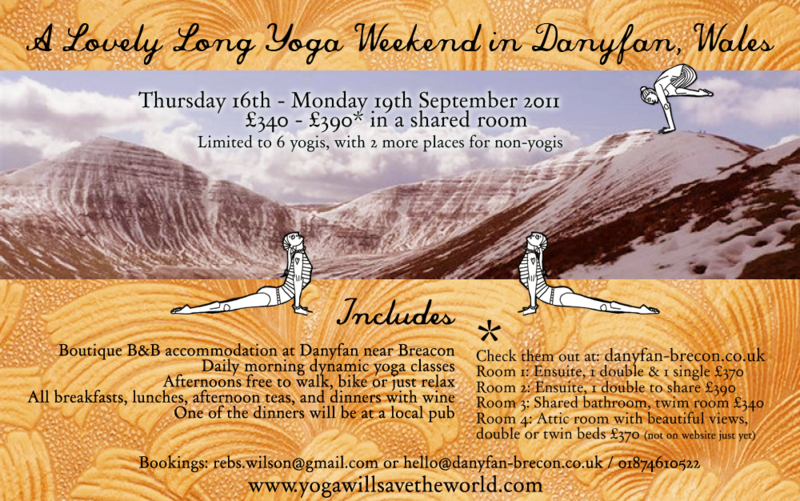 Rebecca Wilson is going to a run a lovely long yoga weekend on the 16th – 19th September. Only one spot left though, so if you’re interested, let Rebecca or me know. Any artists/ actors/ bee keepers/ sports coaches etc who fancy running courses at Danyfan, let us know.